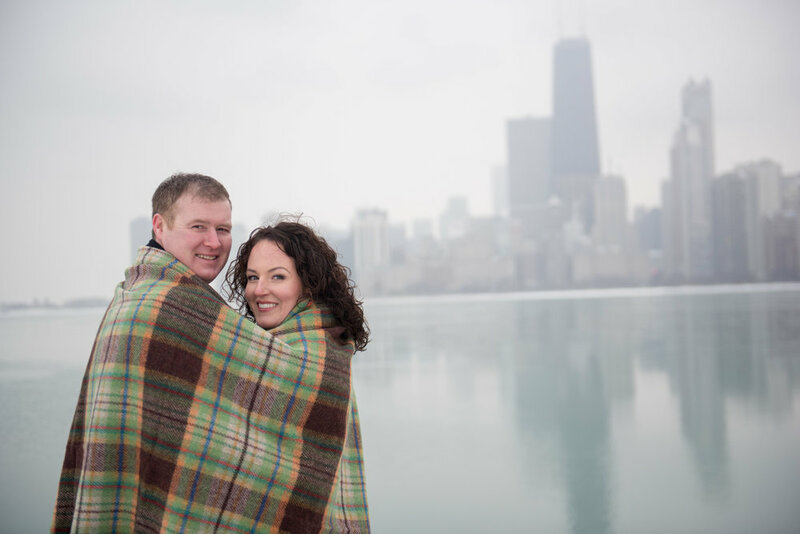 Chicago Engagement Photography: Tips For Your Winter Engagement! 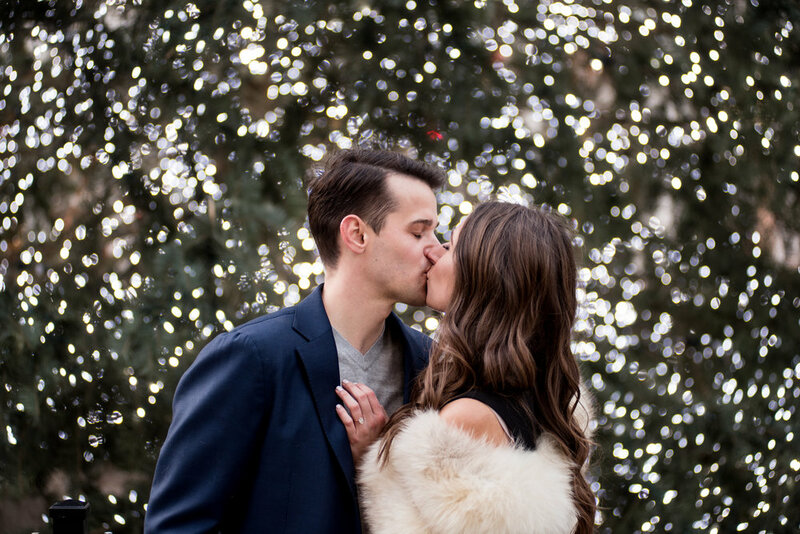 Winter engagement sessions can be so magical and full of joy, especially during the holiday season when Chicago is experiencing those first few snow days. 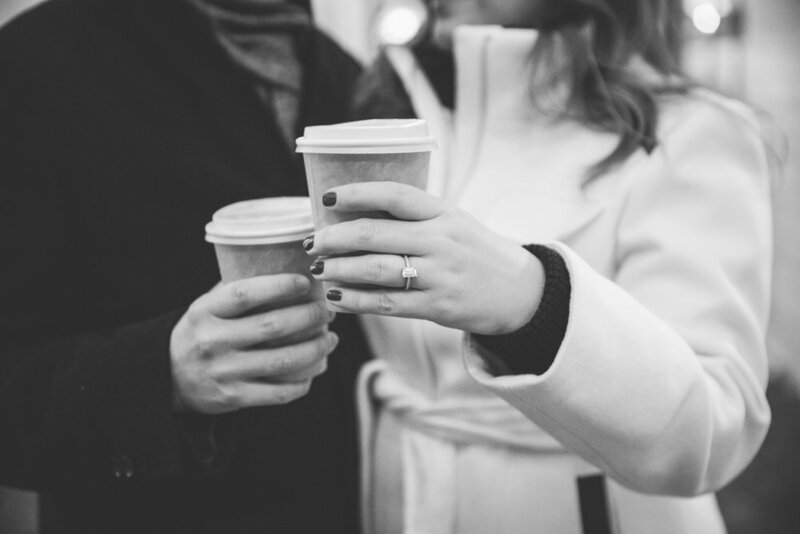 Here are a few of our suggestions to make your winter engagement a smashing success! There is nothing quite like fresh snowfall! It is so much fun to get silly with your partner-in-crime and it also makes for such dreamy romantic shots. While there’s always opportunities to use your everyday winter jacket in your engagement photos (or no coat at all if you’re really brave) we love to use engagement photos as an excuse to dress up a bit! We think this one speaks for itself, but just in case it doesn’t here’s one of our very favorite “twinkling lights” photos! Taking your engagement photos after the holidays? No problem! We love to use the Chicago sign to create that same *sparkling* effect! Taking engagement photos is hard work! Why not take a little break and warm up with a latte or some hot chocolate? If you aren’t feeling like a hot beverage, might we suggest grabbing something that could warm you from the inside out? Do you even need an excuse to wrap yourself up in a blanket with your loved one? We think not! 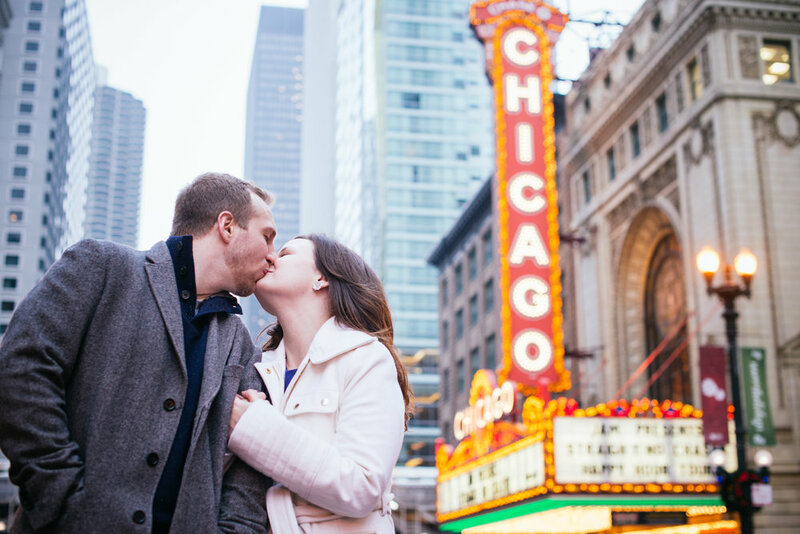 Stay tuned for five of our favorite places to take indoor engagement photos in Chicago!